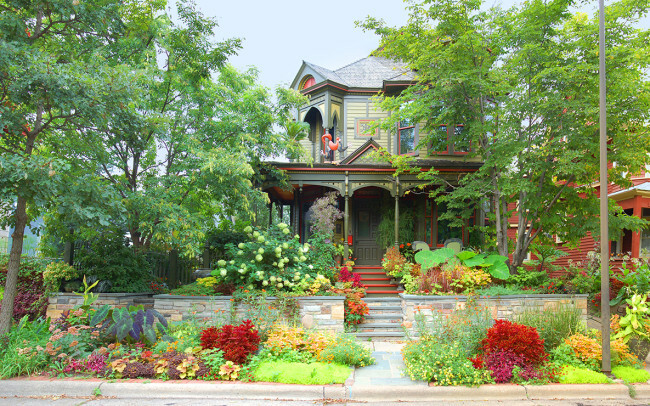 Our client’s garden was a showstopper. 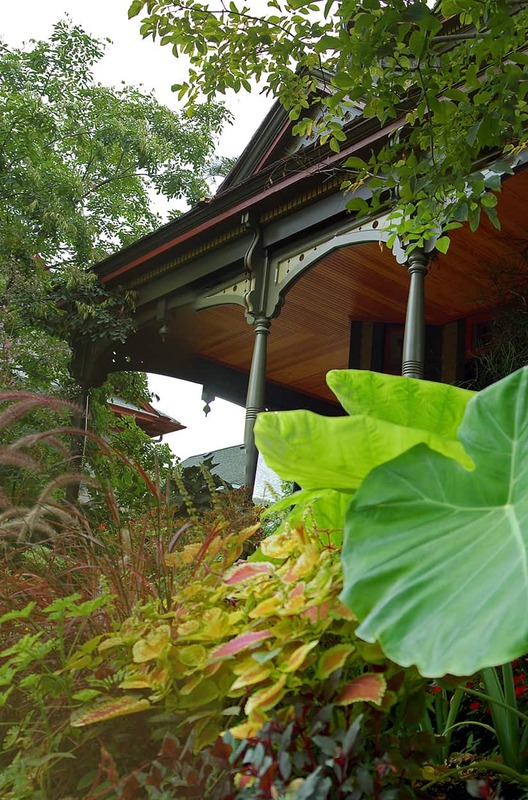 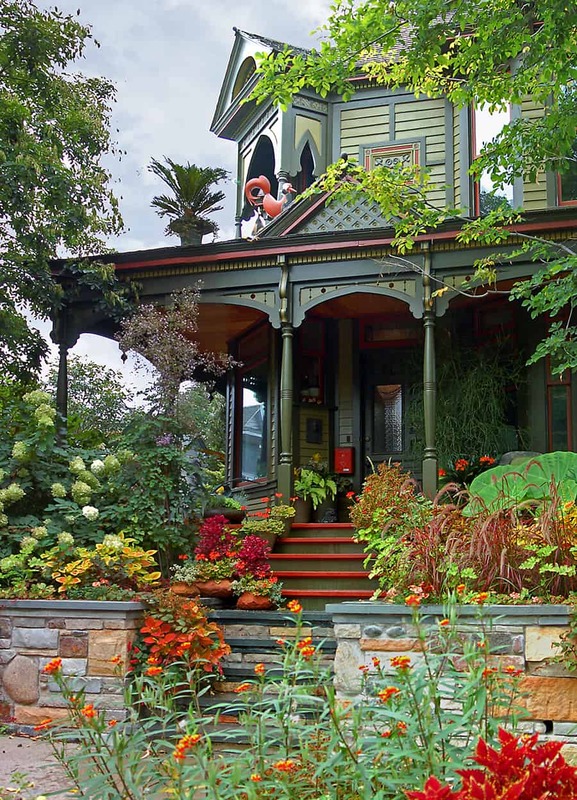 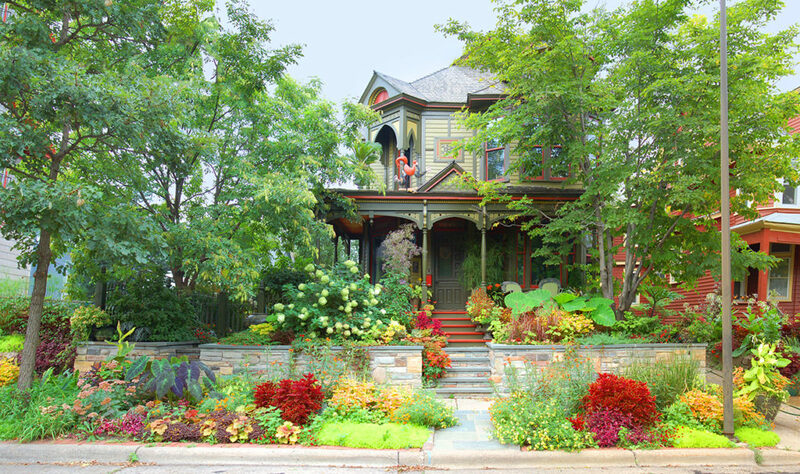 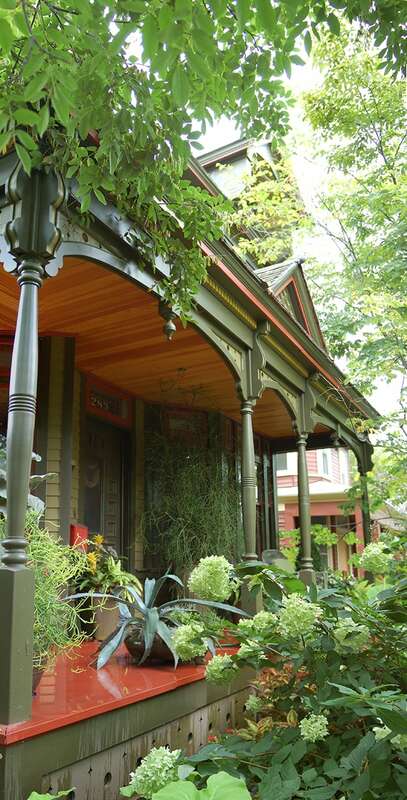 While the house lent itself well to the whimsical garden, the front porch was deteriorating and lacked the charming details needed to complete the look. 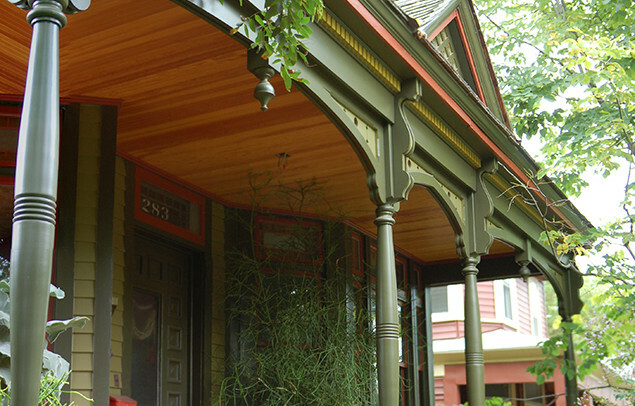 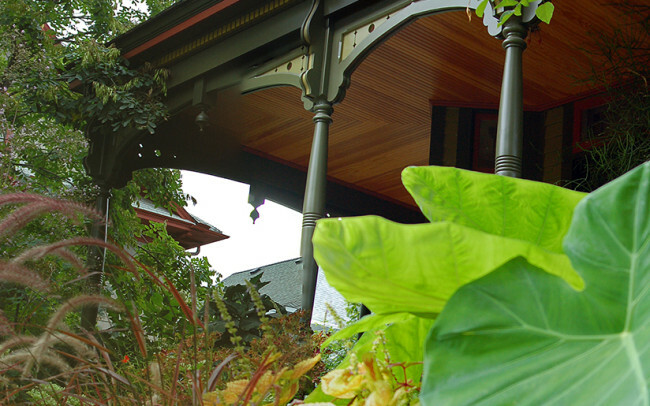 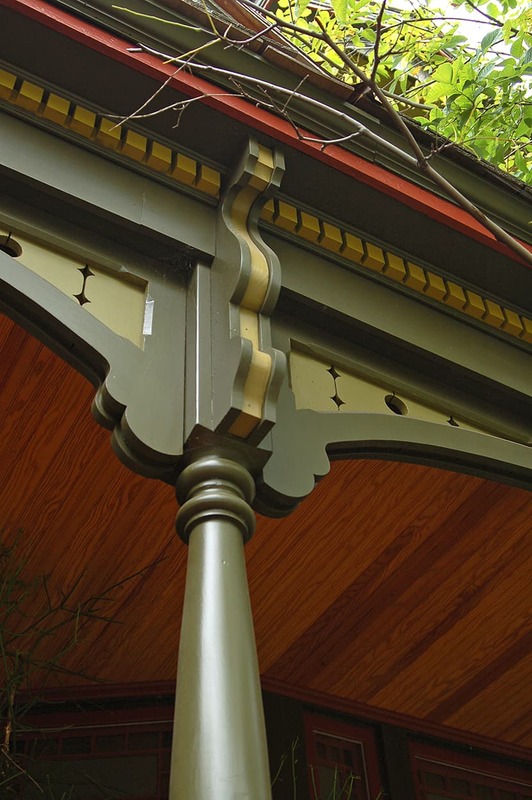 Our challenge was to take the historic details found in the design of the house and incorporate them into the porch. 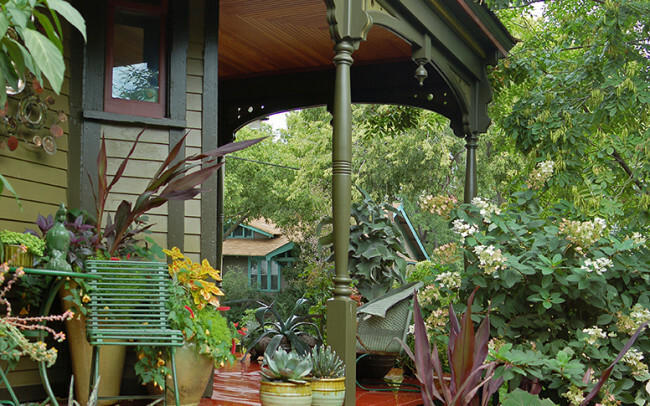 Everything on the porch was replaced except for the roof. 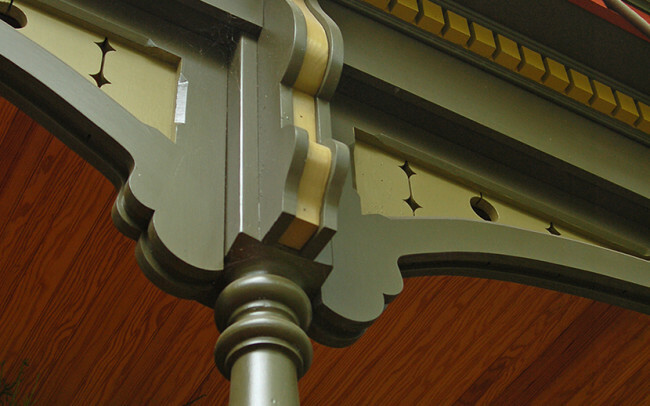 The porch columns and arches are based on the details found on an existing upstairs porch; we added the decorative cutout details. 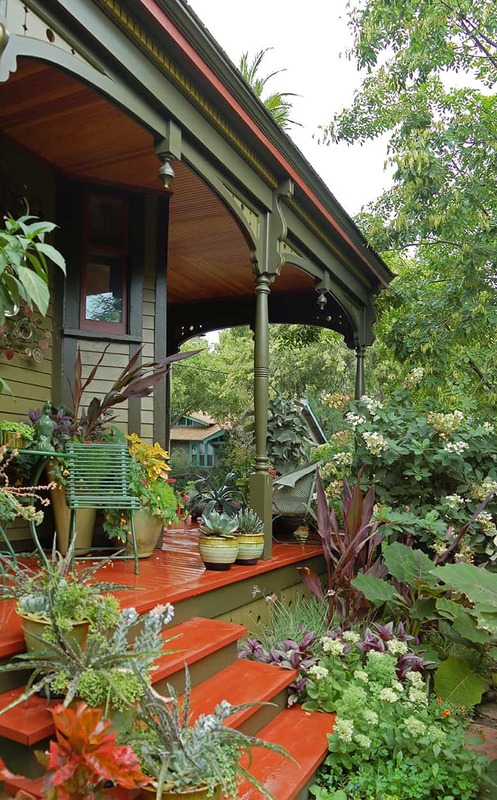 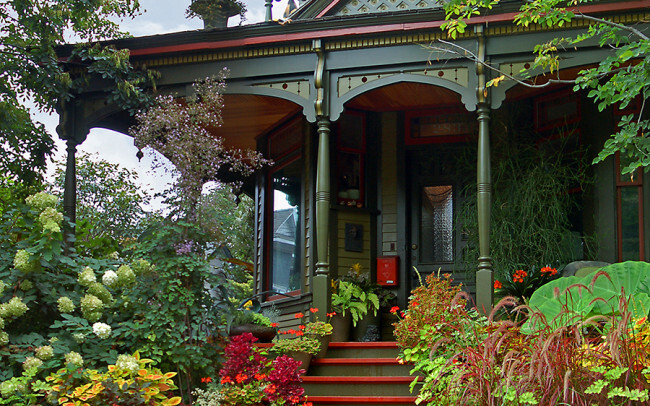 Because it’s low to the ground and lacks a railing, the porch becomes an extension of the garden.